My gay friends hold a special place in my heart... especially my male gay friends. They have a unique way and uncanny ability to deliver the raw truth without any ulterior motives. They break down and point out your weaknesses only to better you. They are not jealous, nor is there any passive-aggressive undertone to their suggestions or comments. Gay men can tell you the highlights you spent $150 are all wrong for you, the top you are wearing is completely wrong for you, or suggest you change the type of undergarments you wear to better enhance your figure and you can trust they are right. The bottom line??? They are ALWAYS right. And, you LOVE them for it. "...You know why? 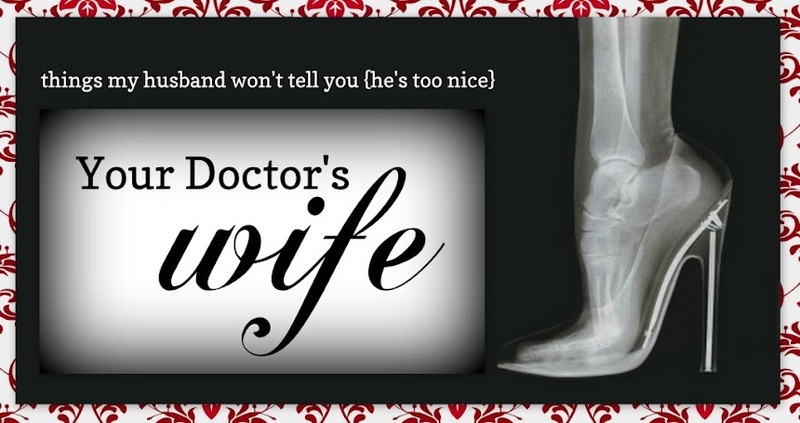 Because YOU are the TROPHY wife," he said through sincere smiles. As I sat there with no make-up on, barely able to stand up straight after spending the afternoon on my hands and knees mopping the floors, scrubbing the toilets of our future retirement home, dressed in my worst and oldest pair of jeans, I scoffed at the thought. It's been bothering me that these friends, whom I trust their opinion, think me a "trophy" wife. He backed up his statement by pointing out the times they've seen me dressed up, and the photos I've posted on Facebook of us which were taken at medical events. I don't consider myself a trophy wife and, honestly, I don't want to be seen as such. A trophy wife doesn't struggle with her weight. A trophy wife LOVES the gym and yoga. A trophy wife is a beautiful statuesque woman. She is always dressed and made up to perfection. Most likely she's not the sharpest tool in the shed. Now, I'm no Einstein, but I consider myself plenty smart. I always need my pants hemmed thanks to my petite stature. Like all women, I can slap on some make up, nice clothes, and run a straightener or curling iron through my hair to push myself from "homely" into "cute" status. CUTE does not equal TROPHY. I think I'm reading too much into it... time to let it go. I ask you... What's your idea of a "trophy" wife? I think your friends probably meant that you surpass any other woman that Doc H has been with, and he's proud to show you off. When I was the proclaimed trophy g/f for a certain ex-fiance banker, I think he liked to show me off to his friends b/c of the fancy dress-up events you reference, but I was also a good entertainer, can make small talk with practically anyone, and had a good head on my shoulders (so I didn't sound like a nitwit when I opened my mouth). Just the same, I also had to scrub toilets and do a lot of kitchen cleanup and as my mother once corrected, "You weren't his trophy, you were his slave." I think trophy has traditionally referred to someone who doesn't have anything to offer besides her husband's title (hence, being HIS trophy), but I think your friend meant it as a compliment. Kind of like, "Whoa, what a step UP." Love this post - and totally get what you mean - these days when I think Trophy WIfe I think about Donald Trump's wife not Doctors' wives, but others may think differently- I've even known some Dr.Wives who do think of themselves as trophy wives - but not in this country, that was in Oz. It's an interesting idea and loved what you wrote! Let it go, but awareness is a good thing! Blogging/writing is great therapy! Once I get it out, it's behind me. I know they meant well, but I guess I never associated "trophy wife" as a positive attribute. I think they're pointing out you're attractive and you get your ish done. That's a true trophy wife! Fantastic! Thank you and welcome! Can't wait to check out your blog, too! It's meant as a compliment. I'm probably a generation younger than you. (I have babies as opposed to teenagers). I think of trophy wife meaning a gorgeous smart woman who can do it all because truly that's what trophy's are given for: being a complete badass :) When people say that about me that's how I take it. There is no question of my intelligence, hard work, ethics and morals ---I think :) Enjoy the compliment. Yes to the gay friends being honest comment. As for trophy wife--I probably would have taken it the same way! Like everyone else said though, it was probably meant as a compliment. Now all you need is a celebrity couple name! I would have kissed him if he said that about me. Trophy wife = you're hot = compliment! Yay! Great and welcome! Let me know if you have a blog, so I can check it out! As far as I'm concerned, a trophy wife is any wife you can show off. And frankly, that's any wife who is confident enough in herself to radiate.